Japan is famous for its animal cafes. 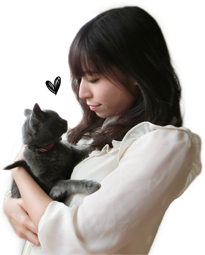 As a catlover and cat mommy, I always visit a cat cafe at least once during my stay in Japan. There are so many in Japan and each cat cafe (neko cafe) is unique. I discovered the cat cafes in Osaka for the first time. My second experience was in Fukuoka, during my language stay. I recommend you the cat cafe Keurig. In Tokyo however, I have never been to one, so I checked the web for cat cafes near Shibuya. I decided to visit the Cat Cafe MoCHA, not only because of the short distance from JR Shibuya station (it is only a 5 minutes’ walk) but also because of its appearance. The cats have plenty of space and you can pet the cats on two different floors. So if you are wondering, what you can do at a cat cafe, I have plenty of answers for you! Well the main reason is probably for relaxation, you can touch, feed an play with cats. You can meet (new) friends, have a chat, work or study there or just read mangas or books. I also like to visit the cat cafes, especially when I miss my own baby. The Cat Cafe MoCHA is very clean and the cats have their own space, where customers don’t have access. You can take pictures (no flash though) and enjoy your time with them. You also can feed the cats for additional ¥500. The main entrance fee is ¥200 for 10 minutes. So if you stay for one hour it will be ¥1’200. Children under 13 can’t visit the cafe btw! You can buy a cup for ¥350 and you can drink as much as you like. There are a lot of other Cat Cafe MoCHA around Japan. On my last trip in Japan, I noticed that they even have one right next to the Takeshita Street. From outside it looked very pretty with the flowers and colorful decoration. I went to one in Harajuku last time, but it was the one on the other side of the street. So if you are looking for a cat cafe, the Cat Cafe MoCHA is a great choice! If you like cats, you definitely need to visit one. can’t wait to blog about it! Me too!! We could run one together ^o^! !